Time for another great giveaway! If you have a little girl in your life, you have to check out S +O Bows! Tabatha offers the cutest in hair bows, headbands, barrettes and even baby shoes! Luckily, I have two boys. Otherwise, I would be broke just from buying these hair bows! 1. Head on over to S + O Bows, check out all the cute bows, come back and leave a comment here telling me what your favorite item is. 2. Become a fan of S + O Bows on Facebook. Don’t forget to come back and leave another comment. 3. Become a fan of Nounces Design on Facebook. Already a fan? Suggest Nounces Design to your friends! Come back and let me know! 4. Help spread the word by blogging, tweeting, facebooking and or emailing all your friends about this giveaway with a link back to this post! I Like S+O Bows on Facebook user Lisa Garner. I liked Nounces Design on Facebook user Lisa Garner. My favorite is the Hot Pink with Black Flower Barrette! Became a fan of Nounces on Facebook. I love the Giraffe Barrette . I’m a fan of S + O Bows on Facebook. I’m a fan of Nounces Design on Facebook. I like the Yellow Polka Dot Barrette. I love the Hot pink gerber daisy clippie! fan of S + O Bows on Facebook. I love the zebra collection! My favorite is Classic Pearls, these would be perfect for our upcoming holiday family pictures! Thanks! The Rainbow Brite set is perfect, one to match every outfit. Love the bubblegum polka bow with lace headband! I love the Pink Tropical Flower with White Crochet Headband . I LOOOVE the Cupcake Clippies! So adorable! T he White Crochet Hat w/Flower Clippie is super cute! Thanks! My favorite bow is definitely the giraffe barrette, I have always loved animal pattern and it just reminds me of an actual giraffe’s markings. Love, love the Zebra Collection! I went over and LIKE them on FB — what a gorgeous collection and so affordable! I love the Pink Tropical Flower with White Crochet Headband!!!! I am a fan/like Nounces Design on Facebook! 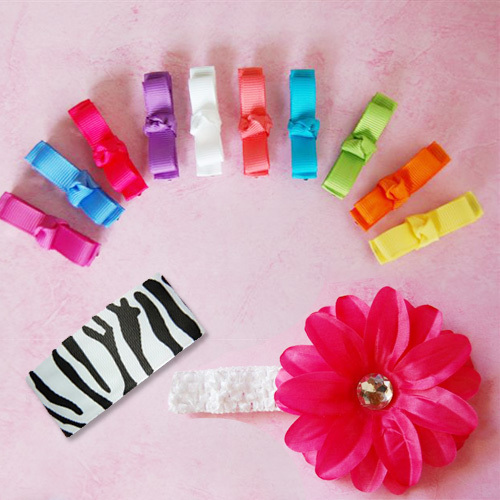 fav is the b&w zebra barrette! I think The Little Lady Bug clippies are so cute! I’ve suggested my friends become a fan!